After a long and hot summer, I'm so ready for cooler weather, and pumpkin flavored everything (Yes, I'm one of THOSE!). 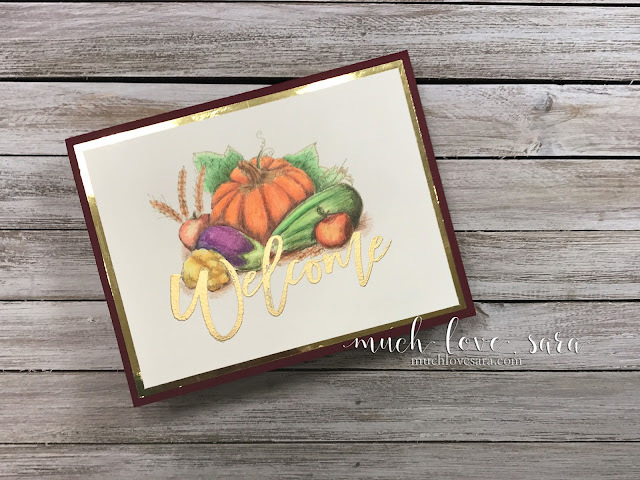 I recently got this fun Harvest ATS stamp, and was anxious to color it in. There have been numerous homes for sale in my subdivision recently, so I thought it might be a good idea to have a welcome card on hand for when I might get some new neighbors! I stamped the image in Oatmeal Cookie, so that as I colored, the lines faded away into the color. 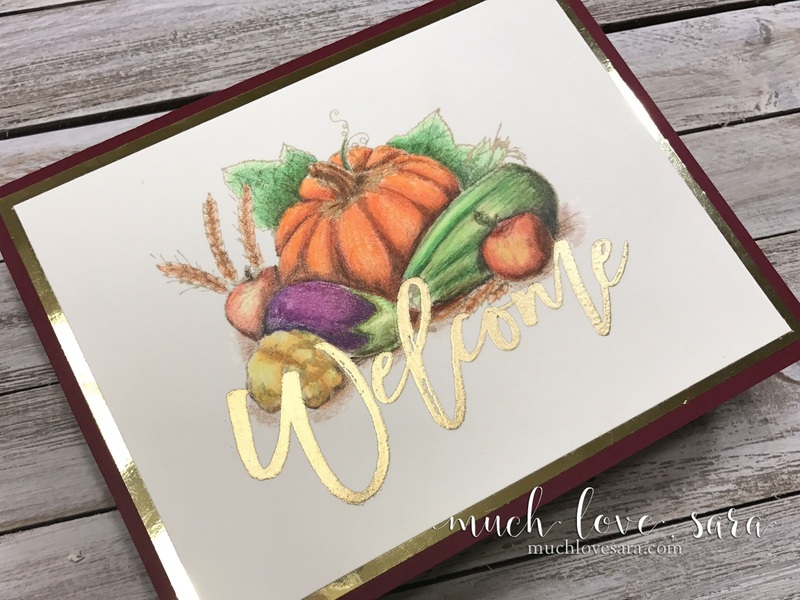 Touches of gold, and the Raspberry Berry card stock added to the fall theme of this card. I love how simple this was. Sara this is such a beautiful card! What a lucky person your new neighbor will be! Great idea using the oatmeal for no line coloring.